With different film waste obviously a different demand is put on the single recycling steps. Such film is highly contaminated; partly the degree of contamination may attain almost 50%. This means that the quantity of different contaminations corresponds to the quantity of films in the film washing line. 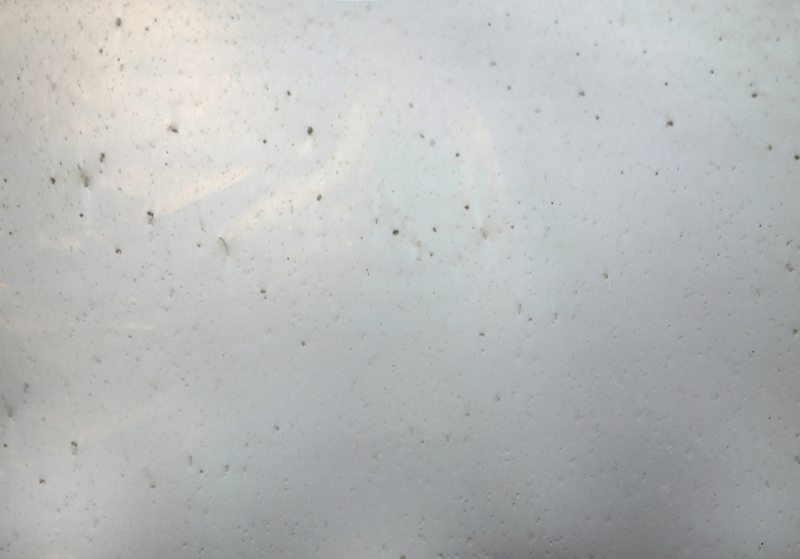 In order to separate this type of contamination from film, in the washing line as early as the pre-size reduction step, a wet shredder especially designed for this purpose is used with Rodepa Plastics B.V. The feeding materials consist of a mix of several different plastics. The real challenge here is the separation of unwanted plastics. 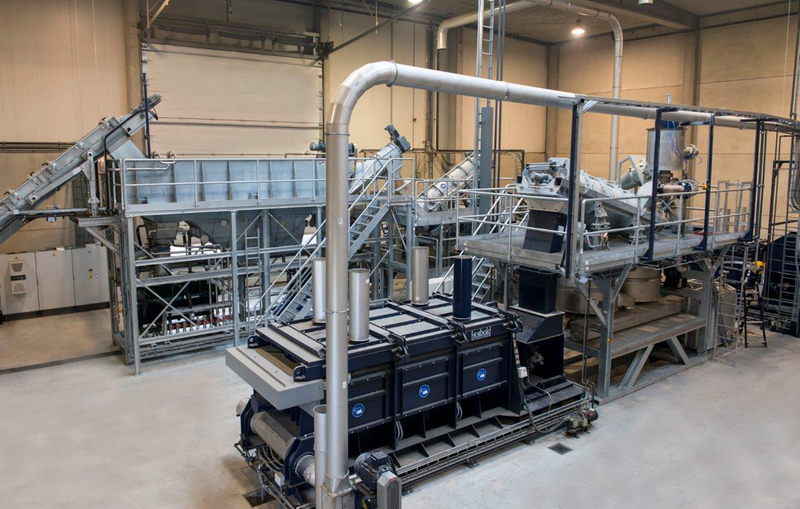 In order to achieve this task, Herbold in the field of wet film recycling opts for a separation by means of a hydrocyclone separation step. 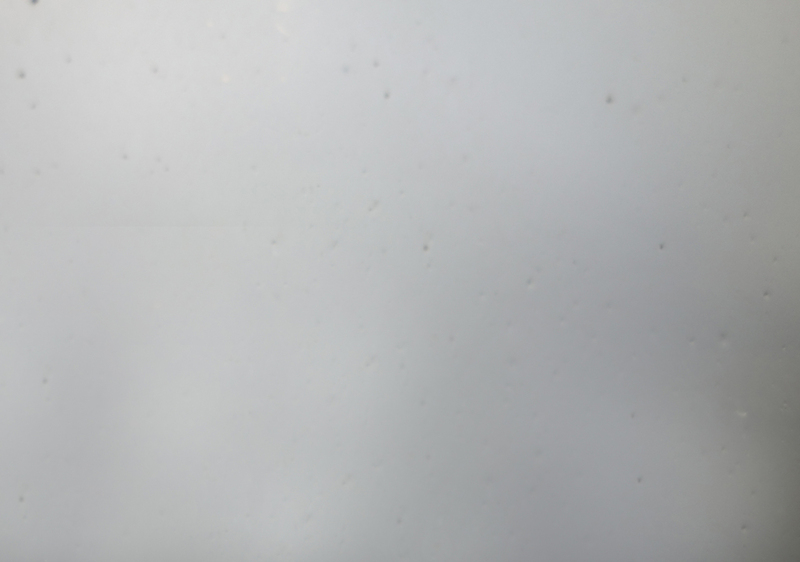 Heavier plastic components can be separated from the polyolefin, which is the good material of a film washing line. Hydrocyclone separation steps attain much higher degrees of purity than traditional swim-sink-tanks. A further advantage of the hydrocyclone separation step is the high amount of water present in the water circuit, ensuring together with the revolving forces arising due to the hydrocyclone, a very good washing result of the films. Deposits of organic substances, a frequent feature of film from household waste, are easily removed by washing. In contrast, films from supermarkets often have a high percentage of paper in the form of affixed labels. It is a real challenge to separate this paper from the film since these LLDPE films from supermarkets are ideal as feeding material for recyclate used for the production of new film. The most important question is the one concerning the required quality of the end product. From this question the necessary recycling steps will depend. Economically speaking, only certain wastes can be used for recycling. Operators increasingly turn to materials that are available on the market for a very reasonable price. That is one of the reasons why plant manufacturer and operator should work hand in hand. The more precise the specification of the input material is, the more cost-efficient the design of the plant can be since unnecessary process steps or room for misinterpretation can be avoided. 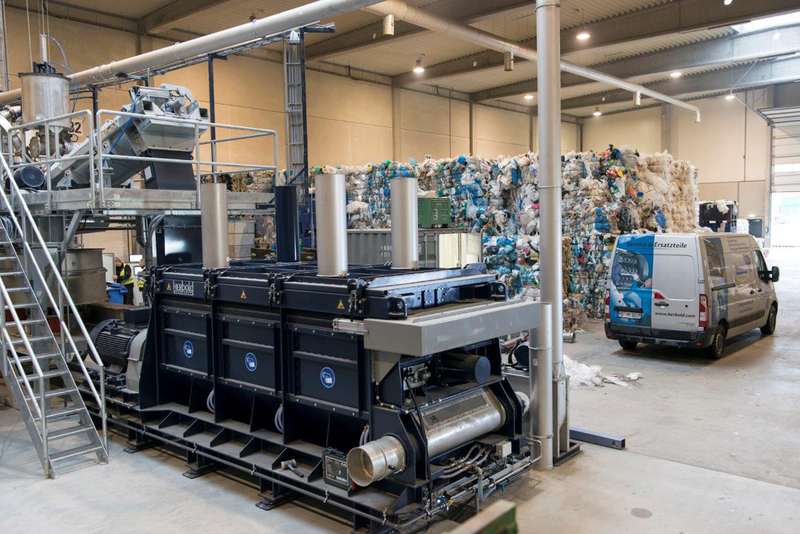 The operator of a washing plant will also have to find a solution for the collection of film waste. An existing collection and separation system is the ideal starting point. 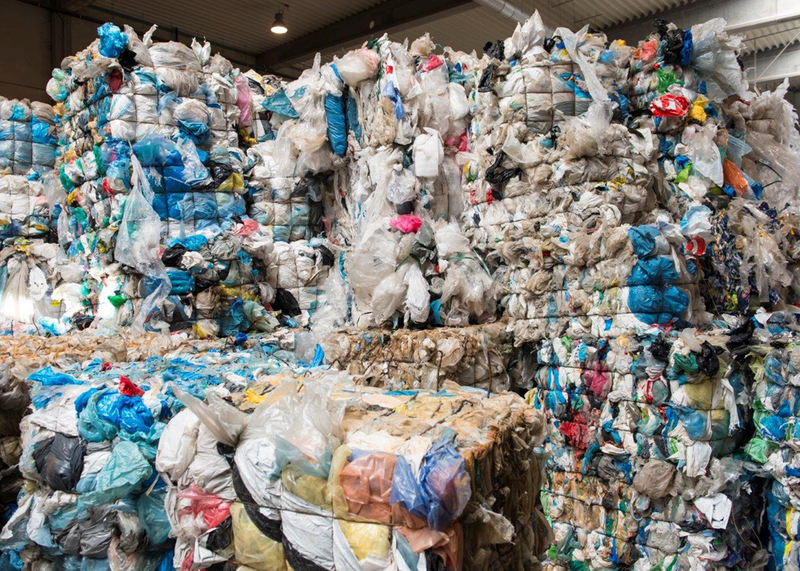 Without such a system, a recycler of plastics waste can only use material flows that have been imported from countries where these materials are collected and recycled accordingly. 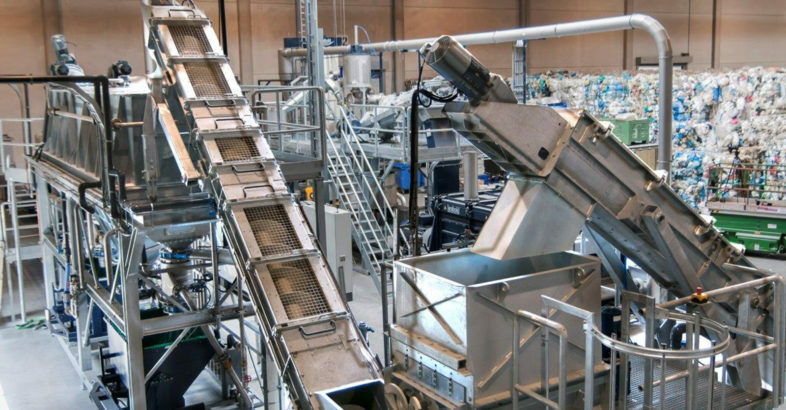 Obviously, it is also possible to collect mixed post-consumer waste and to separate preliminarily as much organic matter as possible in order to obtain a plastic fraction. 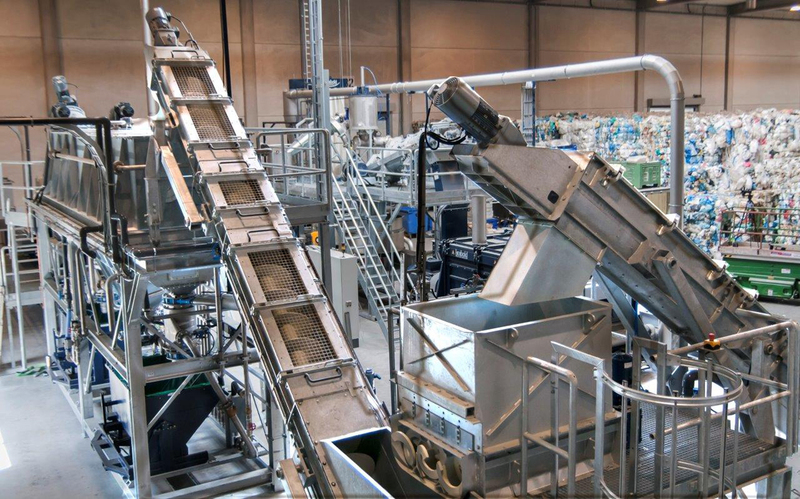 Many basic conditions for the economic operation of a washing plant for plastics waste are set by the market such as the costs for the procurement and the transport of the input material or the attainable prices for the finished product. With an optimal machine configuration, the operator will be able to process a bad-quality input material or to obtain a high-quality end product. It is also extremely important to have well-trained personnel for the operation of the plant. It has also been proven several times that Central Europe can also be an economic location for the operation of such a plant. 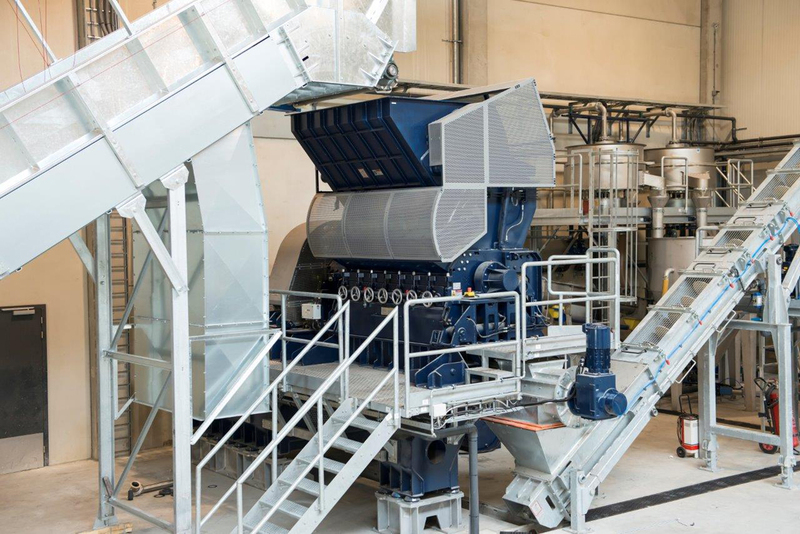 In order to guarantee a long-lasting operation of such a plant, issues such as maintenance and servicing have to be considered as early as the first design steps. Without a good and precautionary maintenance, the treatment of abrasive materials such as sand will not be possible. The greatest attention has to be paid to wear-prone areas; they will have to be protected. Therefore, these wear zones are equipped with exchangeable anti-wear plates.